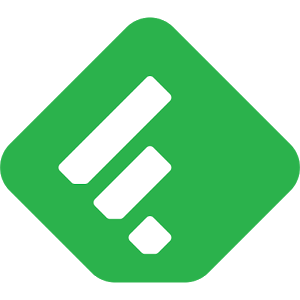 If you follow and read RSS feeds on your Android device, chances are you're using Feedly or, at the very least, you've heard of it. You'll also be happy to know the app is getting a sweet new update that will make your experience more enjoyable. First is support for Chrome custom tabs, the feature that was announced at I/O 2015 to enhance browsing from third-party apps. When you tap a link inside the Feedly app, you should see a Chrome tab launch on top, with all of its benefits (rendering capabilities, saved passwords, auto-fill, security features). The feature requires that you have a compatible version of Chrome, so that includes Chrome beta 45 (which was the first to introduce the option) and above, as well as the new Chrome stable 45 build that was just released. The second feature is support for Feedly's new Shared Collections. This lets users share a subset of their RSS subscriptions with friends and coworkers, kind of like a curated list of sites and sources to follow on a certain topic. Feedly explains how to make better use of shared collections here. And now you'll be able to access and read these from your Android device. Here's the app's official changelog, which also includes a small bug fix bump after the main v29 update. Feedly is available for free in the Play Store, and you can catch the file on APK Mirror if you want a more data-conscious way of installing it on multiple devices.